The Qatar Bloodstock Richmond Stakes Group 2 for colts and geldings over 6f on good to firm ground. Nine two-year-olds take part: all raced and winners. This contest could well be about one horse - Ivawood. This son of first season sire Zebedee cost 220,000gns when purchased at Tattersalls October Sales 2013 (Book 1) Lot 472, by Mrs A Skiffington. This February foal, a bay colt, out of a poor multiple-winning mare [Keene's Royale, trained by Ralphe Beckett] has won both starts to date. 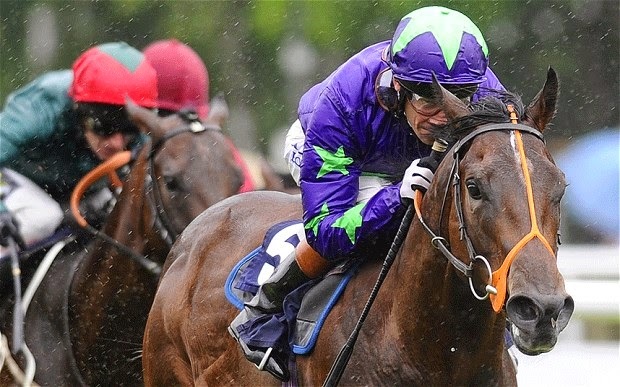 Richard Hannon has a wealth of talented two-year-old horses in his two stables but Ivawood was very much a talking horse on debut when racing over the minimum trip on debut at Sandown [5f]. Racing in the familiar silks of owners Carmicheal Jennings, this good-looking juvenile was sent off 8/11f when making a taking debut win over Magical Memory, who proved victorious at Leicester next start. Every inch a confidence rider, Richard Hughes won in unhurried fashion when taking the July Stakes Group 2 at Newmarket over 6f, going away in the final 100 yard to win readily by two-and-half lengths. Other race entries include: Gimcrack Stakes (Group 2), Champagne Stakes (Group 2), Mill Reef Stakes (Group 2). The Middle Park Stakes (Group 1) & Racing Post Trophy (Group 1) are likely to be on the agenda come the end of the season. Both trainer and jockey have spoken of this horse in glowing terms and it is already one of the favourites for next year's 2,000 Guineas. It would be a major surprise if this 4/9f doesn't arouse a winner's cheer at Glorious Goodwood.